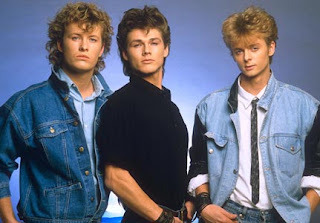 a-ha (normally spelled entirely in lower-case) is a rock/pop music band from Norway. 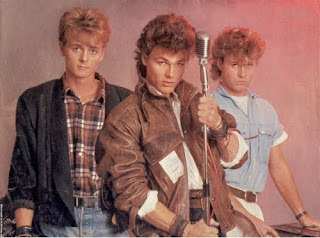 The band was founded in 1982 by Morten Harket (vocals), Magne Furuholmen (keyboards), and Pål Waaktaar (guitars). The group initially rose to fame during the mid 1980s after being discovered by musician and producer John Ratcliff and has had continued global success in the 1990s and 2000s. According to their official website, they have sold over 35 million albums worldwide plus more than 15 million singles, making them the best-selling Norwegian music act in history. 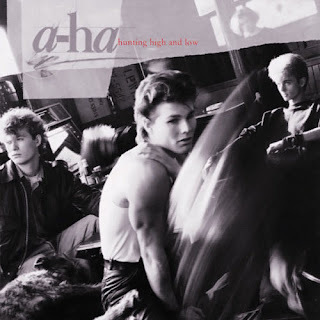 a-ha achieved their biggest success with their debut album, Hunting High and Low, in 1985. That album peaked at number 1 in their native Norway, number 2 in the UK and number 15 on the U.S. Billboard album chart, yielded two international number-one singles, "Take on Me" and "The Sun Always Shines on T.V. ", and earned the band a Grammy Award nomination as Best New Artist. In the UK, Hunting High and Low continued its chart success into the following year, becoming one of the best-selling albums of 1986. In 1994, after their fifth studio album, the band went on a hiatus. 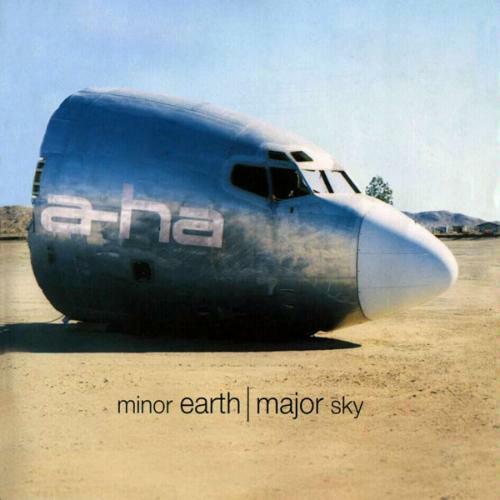 Following a performance at the Nobel Peace Prize Concert in 1998, the band returned to the studio and recorded their sixth album, 2000's Minor Earth Major Sky, which was another number-one in Norway and resulted in a new tour. 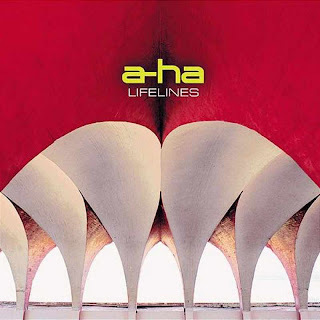 A seventh studio album, Lifelines, was released in 2002, and an eighth album, Analogue, in 2005, was certified Silver in the UK — their most successful album there since 1990's East of the Sun, West of the Moon. 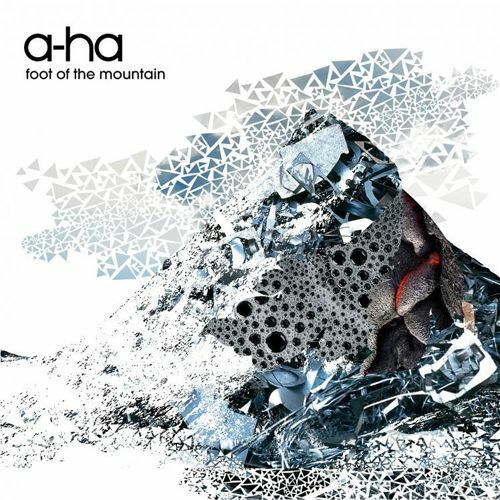 Their ninth album, Foot of the Mountain, was first released on 19 June 2009 and returned the band to the UK Top 5 for the first time since 1988, being certified Silver there and Platinum in Germany. The album peaked at number 2 in Norway (their first not to reach number 1 in their home territory). On 15 October 2009, the band announced they would split after a worldwide tour in 2010, the Ending On A High Note tour, which will culminate in three farewell shows in Oslo on 2, 3 and 4 December 2010. A-ha's first studio album, Hunting High and Low, was released on June 1, 1985 through Warner Bros. Records. the album was a huge commercial success selling more than 10 million units worldwide, peaking at #15 in the United States Billboard 200 and reaching high positions on charts worldwide. The album was recorded at Rendezvous Studios in London, produced by Tony Mansfield, John Ratcliff and Alan Tarney. In all, five singles from the album were released, though not all were released internationally: "Take on Me" (#1 U.S., #2 U.K.), "Love Is Reason", "The Sun Always Shines on T.V." (#20 U.S., #1 U.K.), "Train of Thought" (#8 U.K.) and "Hunting High and Low" (#5 U.K., #10 Norway). The group was nominated for best new artist at the Grammy Awards in 1986, making a-ha the first Norwegian band to be nominated for a Grammy. As part of a re-release of their first two albums, Hunting High and Low was expanded and remastered in 2010. 3-) Hunting High and Low. 5-) Living a Boy's Adventure Tale. 6-) The Sun Always Shines on T.V. 7-) And You Tell Me. 9-) I Dream Myself Alive. 10-) Here I Stand and Face the Rain. 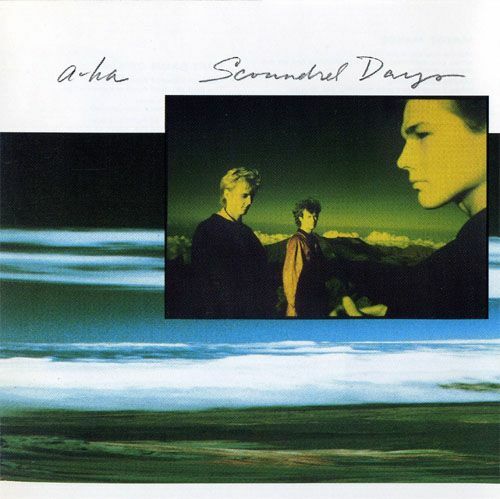 Scoundrel Days is a-ha's second studio album, released on October 6, 1986 through Warner Bros. Records. 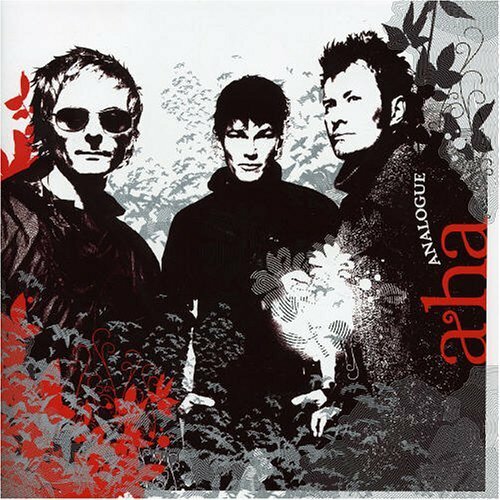 The album was another big hit by a-ha and sold over 6 million copies worldwide which gave the band international recognition. As part of a re-release of their first two albums, Scoundrel Days is due to be expanded and remastered in 2010. The singles released from this album were: I've Been Losing You (#8 U.K., #1 Norway), Cry Wolf (#5 U.K., #2 Norway), Maybe Maybe (only released in Bolivia), and Manhattan Skyline (#13 U.K., #4 Norway). 2-) The Swing of Things. 3-) I've Been Losing You. 7-) We're Looking for the Whales. 8-) The Weight of the Wind. 10-) Soft Rains of April. 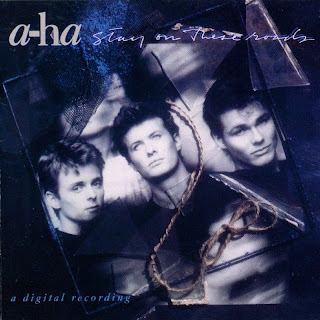 Stay on These Roads is the Norwegian band's third studio album, released on May 1, 1988 through Warner Bros. Records. 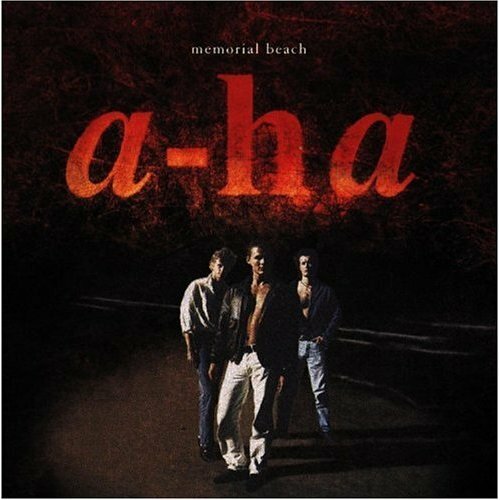 The album was another big hit by a-ha internationally, selling over 4 million copies worldwide. The singles released from this album were: Stay on These Roads (#1 Norway, #5 U.K.), The Blood That Moves the Body (#25 U.K.), Touchy! (#11 U.K.), You Are the One (#13 U.K.), and There's Never a Forever Thing (released only in Brazil). It is important to notice that the James Bond movie theme from the same name, The Living Daylights appears in this album though in a different version. 1-) Stay on These Roads. 2-) The Blood That Moves the Body. 4-) This Alone Is Love. 7-) There's Never a Forever Thing. 8-) Out of Blue Comes Green. 9-) You Are the One. 10-) You'll End Up Crying. East of the Sun West of the Moon is a-ha's fourth studio album, released on October 22, 1990. It was seen by many as a departure from their old radio friendly sound to a darker, moodier tone, and is named after a Norwegian fairy tale. The album sold over 3 million copies worldwide. The singles released from this album were: Crying in the Rain (#1 Norway, #13 U.K.), I Call Your Name (#37 Germany, #45 France), and Early Morning (#29 Ireland, #52 Germany). 1-) Crying in the Rain. 3-) I Call Your Name. 5-) East of the Sun. 9-) The Way We Talk. 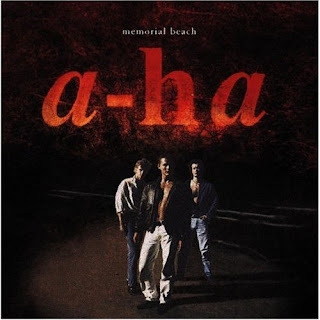 Memorial Beach is a-ha's fifth studio album, released on June 14, 1993. The album was recorded primarily at Prince’s Paisley Park studios outside Minneapolis in the U.S. Featured among the tracks is “Angel in the Snow,” a song Paul wrote for his bride, Lauren Savoy, as a wedding gift, and the eight-minute epic “Cold As Stone”. 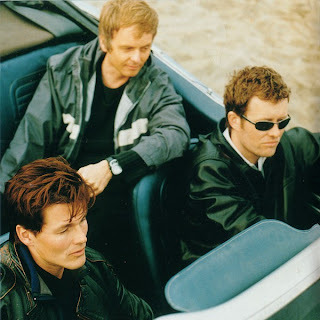 Recording the album was, according to Harket, “A rather dark and heavy period for the band”, although Magne has said, “I dig Memorial Beach, and 'Dark is the Night for All' is the high point, the best thing on the disc.” Memorial Beach featured three more top 50 singles for the band in the UK, “Move to Memphis,” (#48 U.K.) “Dark is the Night” (#19 U.K.) and “Angel in the Snow” (#41 U.K.). While the album did not chart on the Billboard Hot 100, and would be the band's last to be released in the U.S., the single "Dark Is the Night" peaked at #11 on the Billboard Bubbling Under Hot 100 Singles chart, their last U.S. charting to date. 1-) Dark Is the Night. 4-) Angel in the Snow. 6-) Lie Down in Darkness. 7-) How Sweet It Was. 8-) Lamb to the Slaughter. 9-) Between Your Mama and Yourself. Minor Earth Major Sky is a-ha's sixth studio album and their first one since their reunion. It was released on July 17, 2000. It sold 2,75 million copies worldwide. The singles released from this album were: Summer Moved on (#33 U.K., #1 Norway), Minor Earth Major Sky (#73 Germany), Velvet (#48 Germany), The Sun Never Shone That Day, and I Wish I Cared. As a Trivia fact, Morten Harket previously held the world record for the longest note held in a song. During the song "Summer Moved On" Morten sustains a note for 20.2 seconds. 1-) Minor Earth Major Sky. 5-) The Sun Never Shone That Day. 6-) To Let You Win. 8-) Thought That It Was You. 9-) I Wish I Cared. 11-) You'll Never Get over Me. 12-) I Won't Forget Her. 13-) Mary Ellen Makes the Moment Count. Lifelines is a-ha's seventh studio album, released on April 2, 2002. This album entered to top 10 album charts in 9 countries and 4 of those in top, selling over 2,5 million copies. 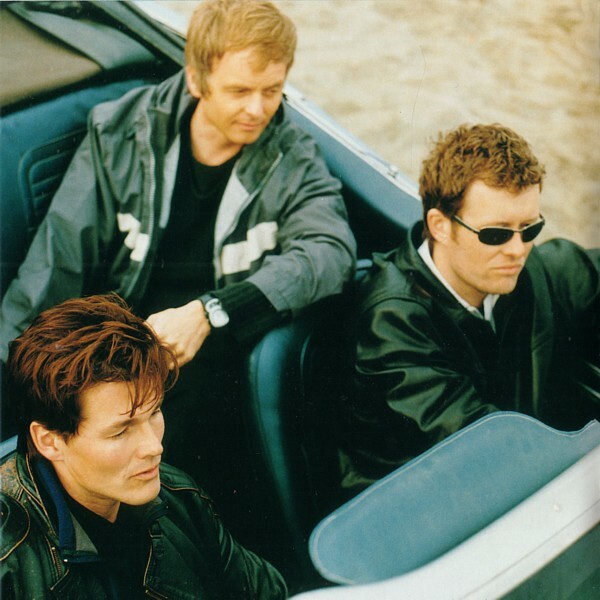 The singles released from this album were: Forever Not Yours (#1 Norway), Lifelines (#18 Norway, #67 U.K.), and Did Anyone Approach You (#5 Norway). 4-) There's a Reason for It. 6-) Did Anyone Approach You? 11-) Turn the Lights Down. -Hallenstadion, Zürich, Switzerland: October 2, 2002. -Wembley Arena, London, U.K.: October 10, 2002. -The Arena, Leipzig, Germany: September 15, 2002. -Le Zenith, Paris, France: October 7, 2002. -Heinekenhall, Amsterdam, Netherlands: October 8, 2002. The album was released in two editions: One, with a 14-track single disc and the other edition contained the 14-track single disc with a bonus 6-track disc. The uploaded file in here will include the two disc edition. 2-) Minor Earth Major Sky. 4-) I've Been Losing You. 5-) Crying in the Rain. 7-) Did Anyone Approach You? 8-) The Swing of Things. 10-) Stay on These Roads. 11-) Hunting High and Low. Analogue is a-ha's eighth studio album, released on November 4, 2005. The singles released from this album were: Celice (#1 Norway), Birthright (only as a promo single), Analogue (All I Want) (#10 U.K., #10 Norway), and Cosy Prisons (#39 U.K.). 2-) Don't Do Me Any Favours. 4-) Analogue (All I Want). 8-) Halfway Through the Tour. 9-) A Fine Blue Line. 10-) Keeper of the Flame. 13-) The Summers of Our Youth. Foot of the Mountain is a-ha's ninth and final studio album, released on June 19, 2009. It reached #1 on the German Album Chart and #2 on the Norwegian Album Chart. In its first week in the UK, the album debuted at #5, their highest chart placing in that country since Stay on These Roads in 1988. The overall sound of the record marks a return to the synthpop style the band became famous for in the mid-1980s. 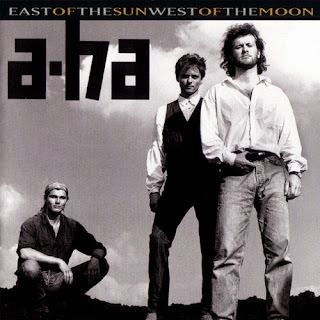 Keyboardist Magne Furuholmen describes the album thus: "It's an album that incorporates the key elements that first defined the band: soaring vocals, synth hooks, yearning lyrics and melodic melancholia.". This album is also due to be the band's final recording (except for the single "Butterfly, Butterfly (The Last Hurrah)"), as they are planning to split by the end of 2010. The singles released from this album were: Foot of the Mountain (#8 Norway, #66 U.K.), Nothing Is Keeping You Here (#65 Germany), and Shadowside (#22 Germany). 4-) Foot of the Mountain. 7-) Nothing Is Keeping You Here. 8-) Mother Nature Goes to Heaven. 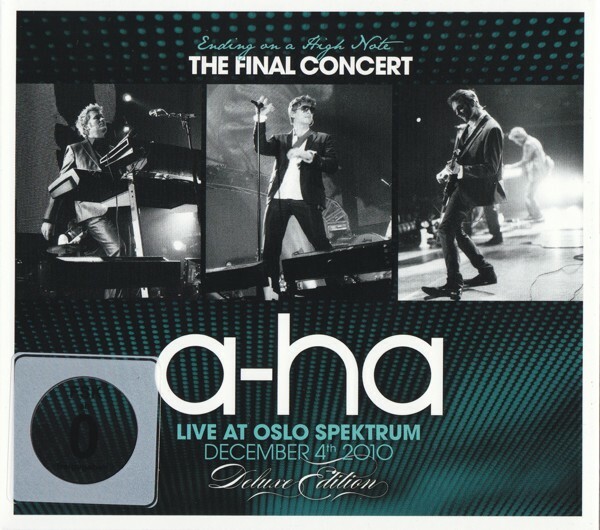 Ending on a High Note: The Final Concert is a-ha's live album, released on April 1, 2011. This album was taken from their last date at Oslo, Norway on December 4, 2010, off their farewell tour, Ending on a High Note World Tour. Of course this album is a revisit down memory lane, including classics from all of their studio albums. The album charted to #3 in Norway and #43 in the U.K.
1-) The Sun Always Shines on TV. 3-) The Blood That Moves the Body. 5-) The Swing of Things. 7-) Stay on These Roads. 9-) Hunting High and Low. 10-) We're Looking for the Whales. 1-) Butterfly, Butterfly (Last Hurrah). 2-) Crying in the Rain. 3-) Minor Earth Major Sky. 5-) I've Been Losing You. 6-) Foot of the Mountain. 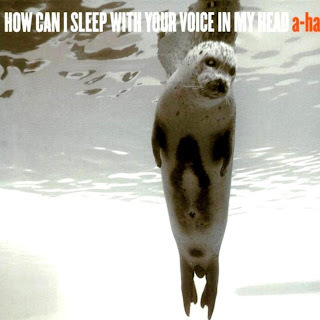 a-ha Plus is a self-made compilation which comprises most of their non-album tracks (especially b-sides), focusing more on their first two albums, plus the addition of their 2010 single, Butterfly Butterfly (Last Hurrah). 1-) Take on Me (Original 7'' Version, 1984). 2-) Stop! And Make Your Mind Up. 9-) All the Planes That Come In on the Quiet. 11-) What's That You're Doing to Yourself in the Pouring Rain. 12-) You Have Grown Thoughtful Again. 15-) Butterfly, Butterfly (Last Hurrah). The Demos is another self-made compilation which includes the band's demos off their first two studio albums. Of course this includes demos of their hits like Take on Me, Hunting High and Low, The Sun Always Shines on TV, Cry Wolf, Manhattan Skyline, among others. 5-) Living a Boy's Adventure Tale (Early version). 6-) The Sun Always Shines on TV. 11-) Lesson One (Autumn 1982 Take on Me demo). 13-) The Swing of Things (demo #3). 14-) I've Been Losing You (Octogon Studios demo). 18-) We're Looking for the Whales. 19-) The Weight of the Wind. 21-) Scoundrel Days (Octogon Studios demo). Thanks so much for your blog. Really appreciate the good working links too. thanks to publish the collection! some links off..
ed.sal: Te felicito infinitamente por el excelente trabajo de tu blog, así como los links, ahora tengo la oportunidad de disfrutar de este estupendo grupo, recibe un saludo cordial y gracias!